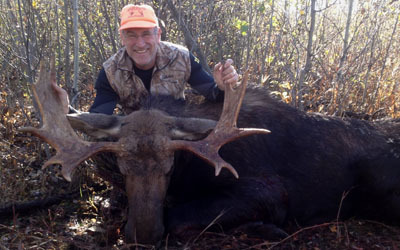 What do you get moose hunting with Mike's Outfitting? A very high Canada Moose population in our hunting area. 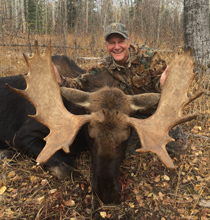 Rifle moose hunts where you can see 20-30 moose a day. A physically easy, fun hunt, no swamps to wade through, or rivers to navigate or horses to ride. A 90% to 100% success rate on 30 to 45 inch wide bulls. Resident hunters on a limited draw. 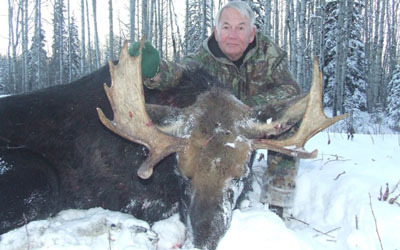 Our Canada moose hunts are one of the highest success rate, least expensive and physically easy moose hunts you can find. 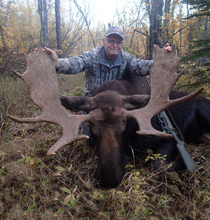 Our moose hunts take place in the Peace River region of Alberta. 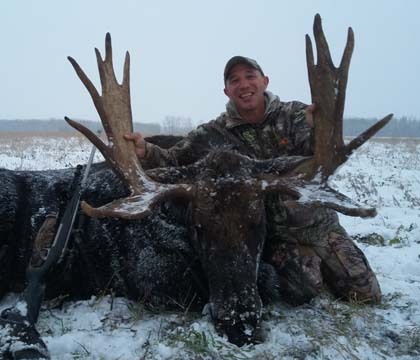 The rifle hunts are done as a rut hunt in late September, October or as a post-rut hunt in November. Both hunts are equally good. 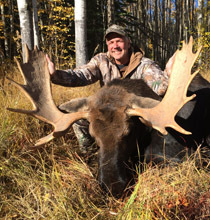 The October rut hunts can be done with a bow where we call the moose into close range. 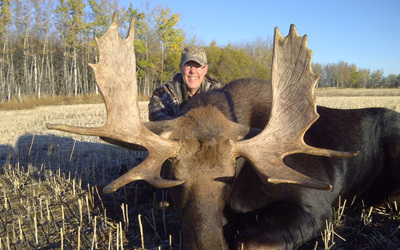 Alberta resident moose hunting is on a low quota draw and we have some of the very limited non-resident outfitter tags. No draw required, guaranteed license. 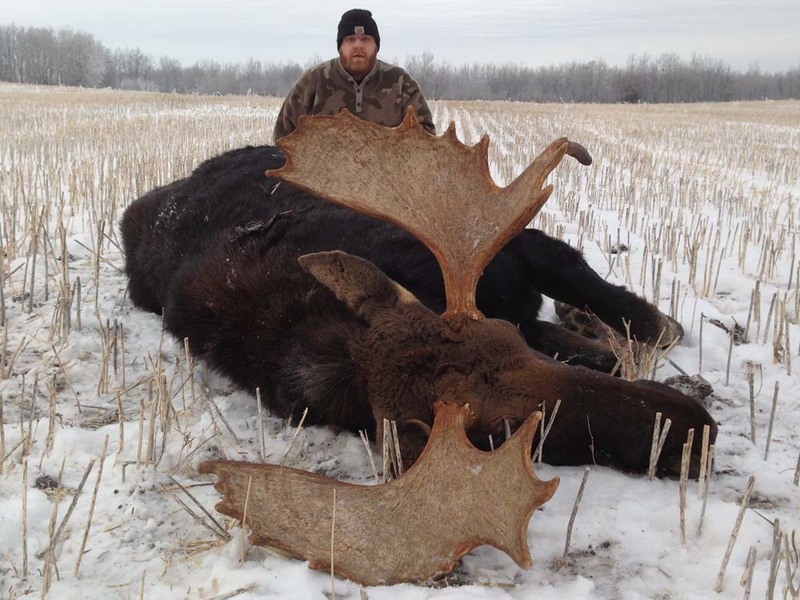 We hunt the moose mainly in the farm fields or in the rolling wooded hills, none of it is physically tough to hunt. We take most bulls within a short walk of the truck. 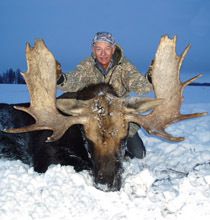 Killing a 30 plus inch moose with a rifle is practically guaranteed. 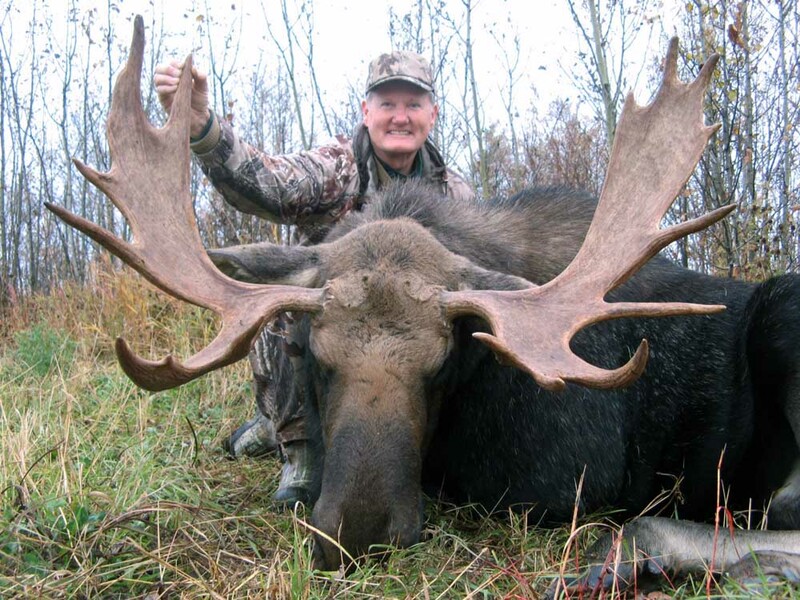 With a determined effort moose bow hunters should be able to get good shot opportunities. 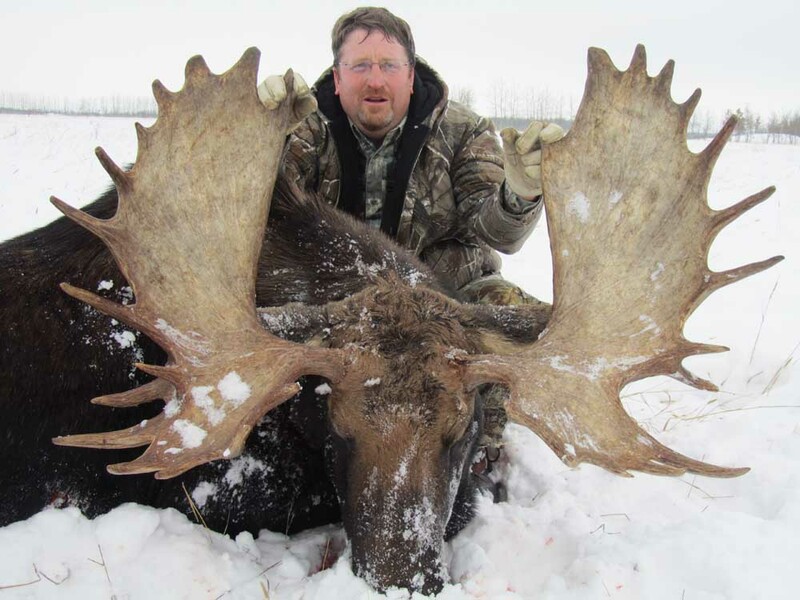 Moose hunting in Alberta is very weather dependent, cold frosty mornings are best making the bulls feed and rut in the farm fields. November is when they really group up, especially if it is cold and snowy. 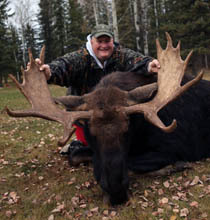 You may see more than twenty Canada moose in a single good day. We also use four-wheelers and walking to get into the more inaccessible areas. 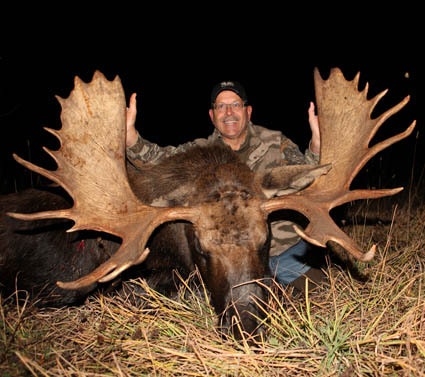 Dave’s bull was an old 44 incher. I wanted to drop you a line and express once more what a great time we both had hunting with you. Kyle is as good a guide as we have ever had, and we have had a few. The food. Every time we think of that fine lady our mouths water, neither of us have lost any weight. Anyway, thanks again. The hunt was everything you advertised and more.